Historically, Lower Manhattan was a manufacturing, business, and government center with little residential population. This has been changing since the 1970s, when people began to live in converted commercial spaces. The resulting population boom became a key factor in the establishment of the New Amsterdam Branch in 1989. The branch is housed on the ground floor of an office building, one block west of City Hall. Although small in size, the library bustles with activity and people all day long. 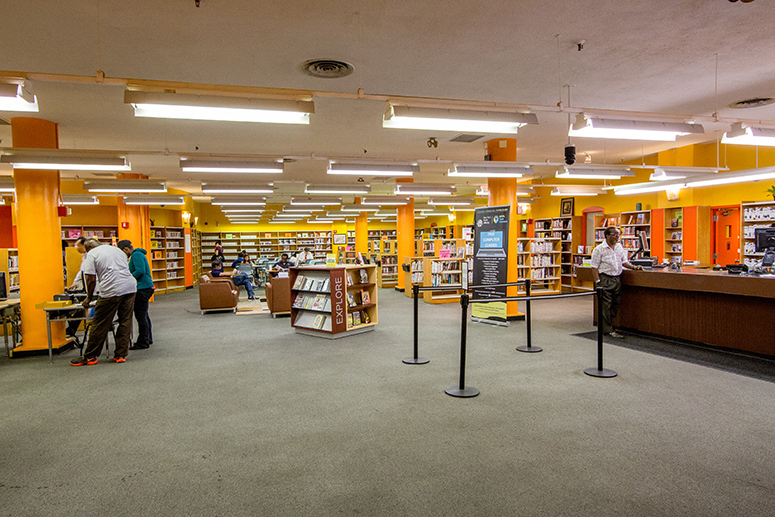 Fully wheelchair accessible, the branch offers collections, services, and programs for all ages.